Whoa that looks really cool! There are way to little homonculi pictures, most are just Al or Ed. Thanks for scanning! 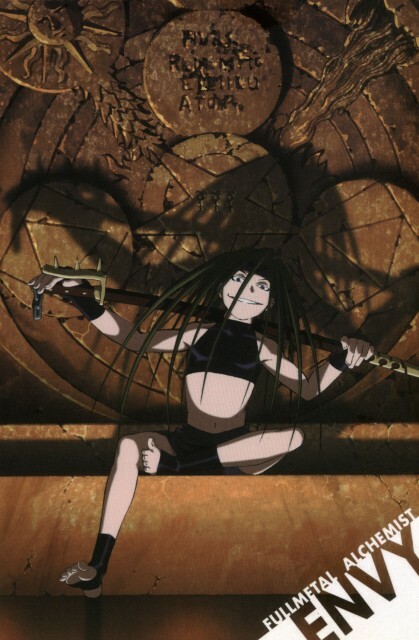 I love envy he is totally awesome! i don't care for Envy; he just seems like too much of a creep. Whoa cool! that sword is number 48's sword right? we need more scans of Envy ! SO DAMN CREEPY! But I love it! pure evil! but it was so sad how envy died!